Did you meet or exceed your financial goals in 2018? Has your business slowed or stopped ticking? 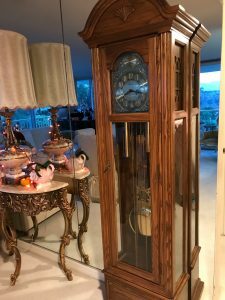 Seemingly out of nowhere today, I thought I need to call a watch craftsman to fix two clocks; one is a grandfather clock and one is a beautiful European masterpiece clock. In almost the same instance, I realized that both have not been ticking for years! Yes, years! And then, when I realized that they stopped around 2010, I thought of what was happening in my life at that time. It made complete sense. It was two years after my divorce, and my business and life slowed down measurably. What is showing up for you in your environment that is reflecting back to you that “time is standing still” in your business or your life? Why not find the mentor to get things going again? 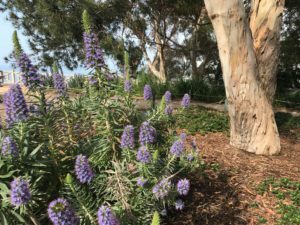 On my walk the other morning, I stopped at these gorgeous purple plants and saw bees swarming through them, plus one beautiful hummingbird. I thought, what a beautiful and natural eco-system. Both species are enjoying nature’s delight, and using them for different purposes. And, everyone is getting along harmoniously. Then, my thoughts went to Time…how can I harmoniously enjoy nature’s bounty of time, even though I have several different projects (species) of work to do? 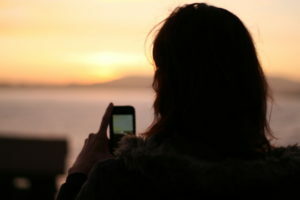 If your phone could talk, what would it say? I used to think that Mercury in Retrograde was something my daughter believed that gave her “permission” as an “excuse” for communication mishaps. It’s not that I didn’t believe her, it was just that I am so results-oriented that I believe we create our own world. What I forgot to realize is that Universal Energy does play a part in our co-creation. I now am a firm believer!! !…as of yesterday. Yesterday morning I had a great check-in call with my awesome assistant, Melissa, and was planning to take a walk. I was in the elevator and one of the visitors didn’t realize that the elevator security code was on. As I was helping her decode the code, my phone dropped.